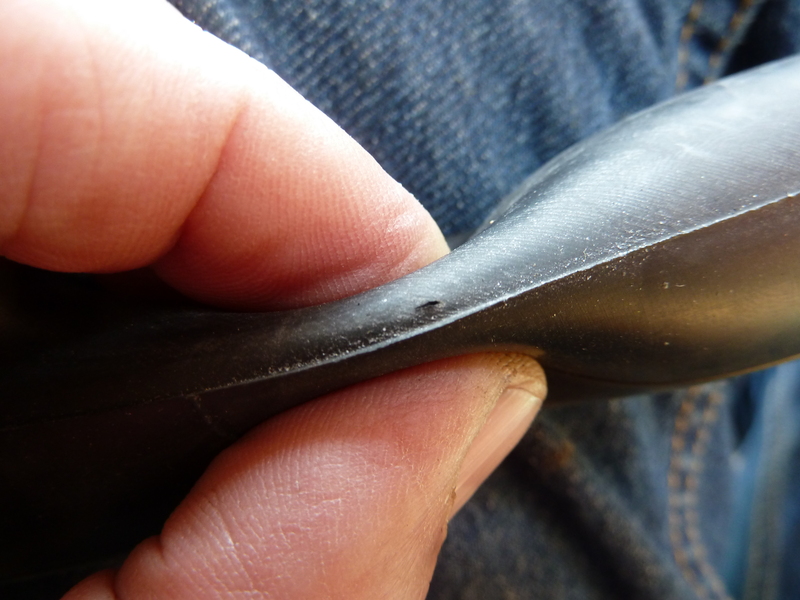 Today (2011 April 25) marked my longest right of the year. I ventured on one of my favorite routes, a 40K out and back from Downtown to Terwilligar. This was my first ride on most of these trails and roads this year so I’ll share what I encountered. 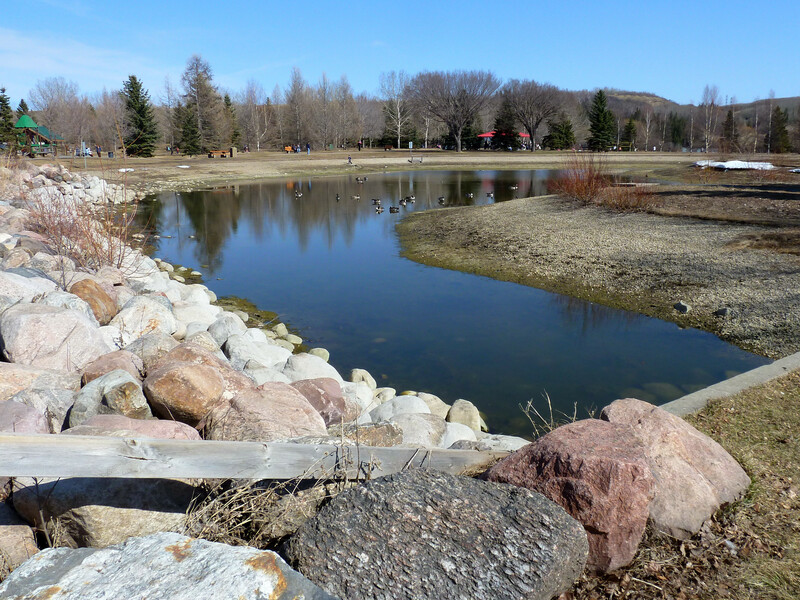 The bicycle paths on the northside of the river from Riverdale, through Rossdale and down River Road were great – dry and clean (except for a few wet patches in Rossdale, at the southeast corner. 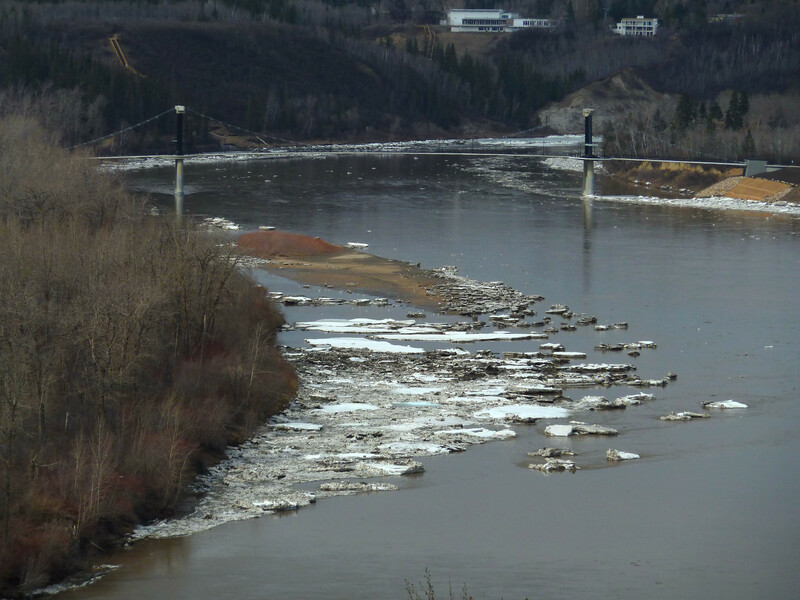 The first hazard encountered was a lot of sand on the path connecting the River Road trail to the northeast end of Groat Bridge. this is a steep little section and sand is not welcome either going up or coming down. It’s not bad if you are the only one on this section but if there is traffic, be prepared. Once across the river and up the hill, I turned onto Emily Murphy Park Road to take the overpass over Groat Road. Very sandy! 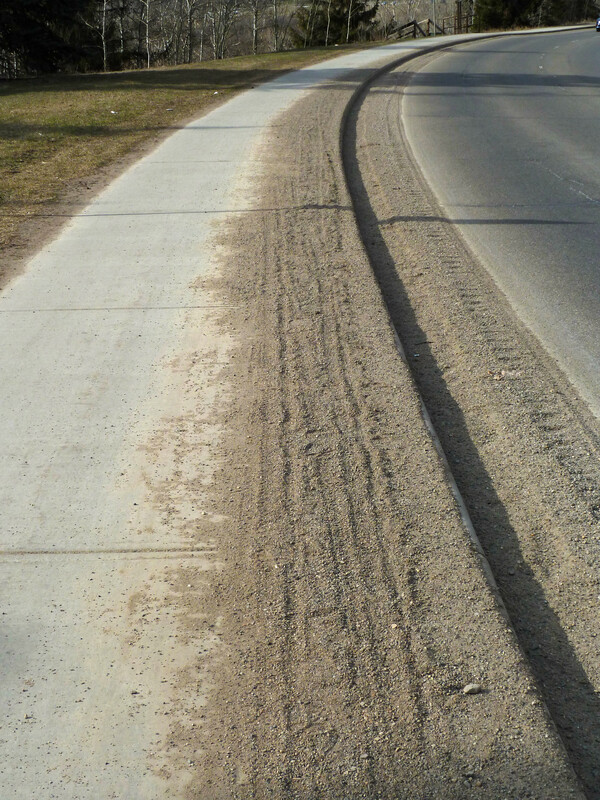 Sand would be a serious issue all of the way up Groat Road – on the road leading up to Hawrelak Park entrance and then on the sidewalk/path running on the west side of Groat Road. Caution is in order when on the road and especially when changing lanes. The sidewalk is very sandy on the road side put clear on the park side – again not an issue if pedestrian/cycle traffic is light. The path from the traffic circle to the top of Keillor Road was pretty smooth cycling – clean and dry for the most part. The Keillor Road hill was wet, and sandy. On is not going to want to cruise down like you would on dry summer pavement. 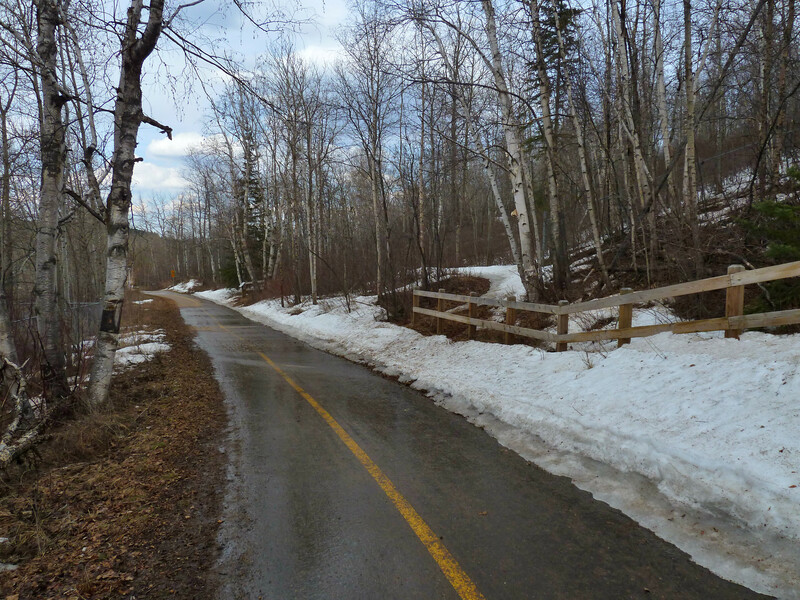 Part of the bike path were still covered by snow and there was lots of run-off on the paths. Once down on the flat section beside the Whitemud Equine Center the road was pretty fast although there was snow on the road sides and there were wet sections. 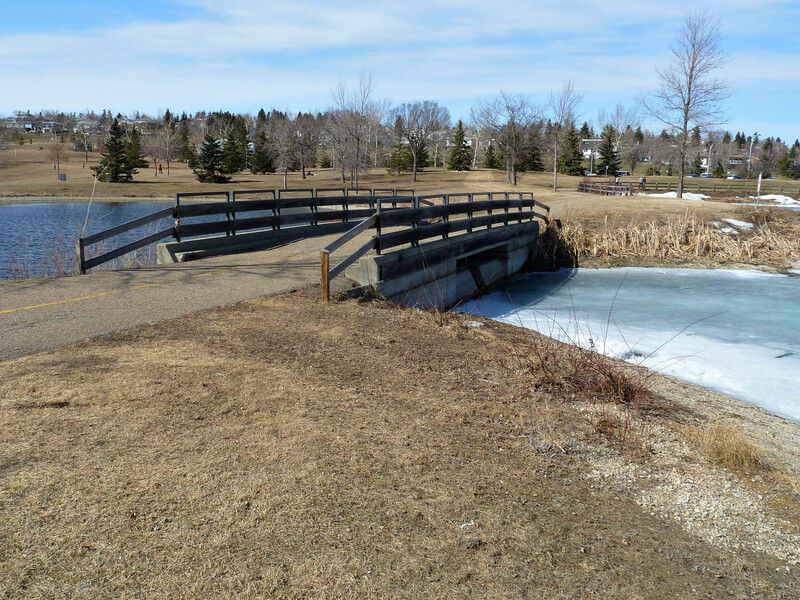 Back on the bike paths around the little bridge over the Whitemud Creek I again found a lot of sand – slow and cautious riding called for. The next hazard was at the Quesnel Bridge construction site. 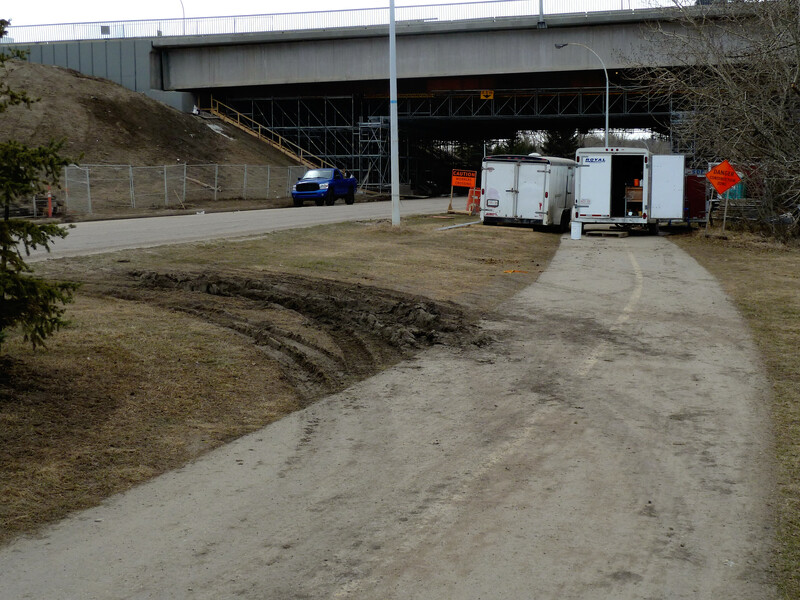 The bike path is inconveniently blocked by construction trailers right where the trail intersects the road under the south end of the bridge. Cyclists must go off-road and ease their way down the square curb. Once under the Quesnel I connect to the bike path running back behind Fort Edmonton Park. on the south bank of the river valley. 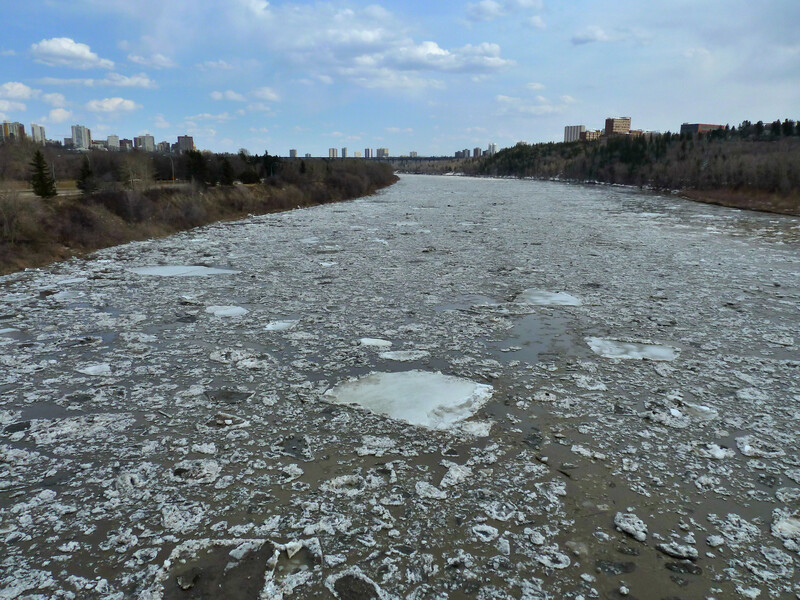 I should know better than to expect a dry trail on this side of the river before mid-May. True enough, this section was mostly wet and very sandy – that mix that drives me crazy with the crunching once it gets into my drive train. 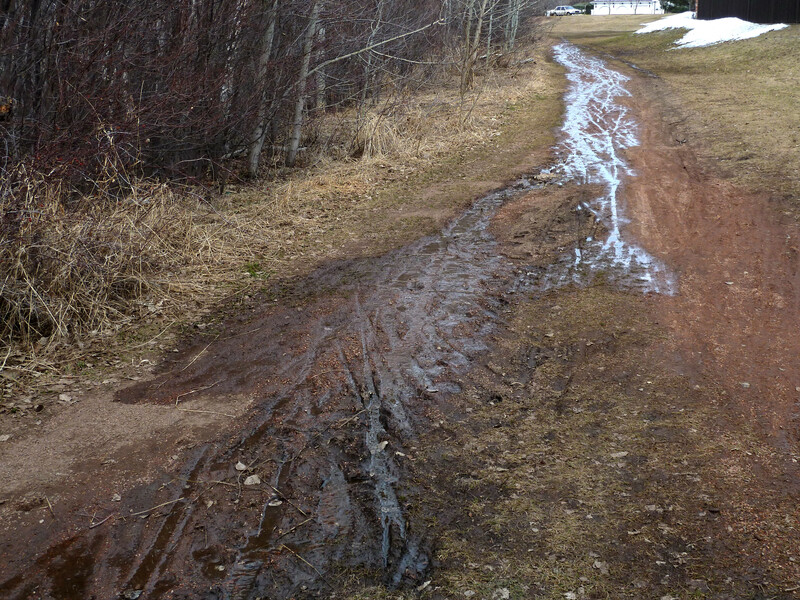 The good thing is that it was only water, there was no snow or ice that I had to cross along this path. 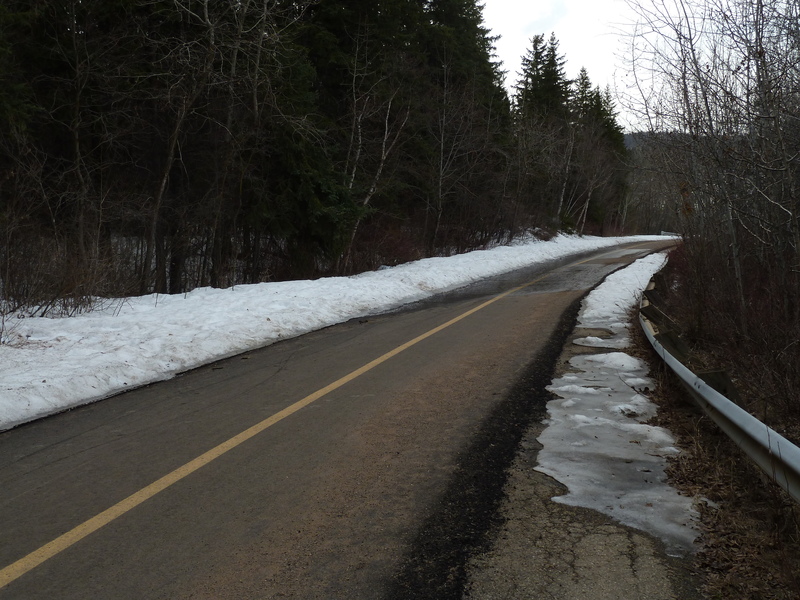 From the end of this bike path I took the Whitemud Road – up the steep, gravelly hill. The hill was rough as usual but not overly muddy, so I didn’t really think about it. I continued along Whitemud Road through the residential community. There is one little off road connection that I usually take between Riddell Street and Romaniuk Road but today it was wet and muddy and I had to make a detour on to the nearest road. 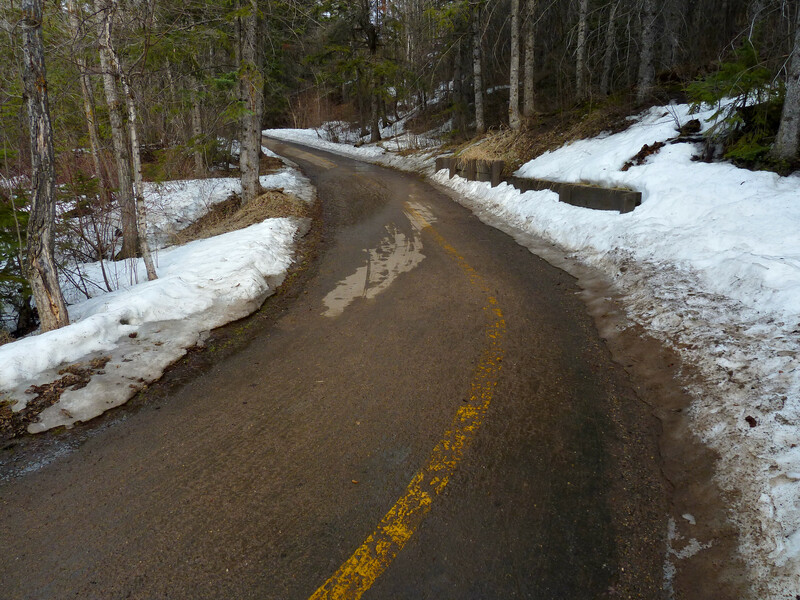 I continued for a few kilometers south of Rabbit Hill Road along relatively dry but sandy residential roads before backtracking my route to get home. Overall the ride was a success (my longest of the year, the weather was decent and my camera worked out well ) but I think I will not venture out on this same route again for a couple more weeks (hopefully by then the paths will be dry and the sand will be swept up).